An island floating on a puddle of water they call the sea. The island's guardian is reflected in the water's surface. 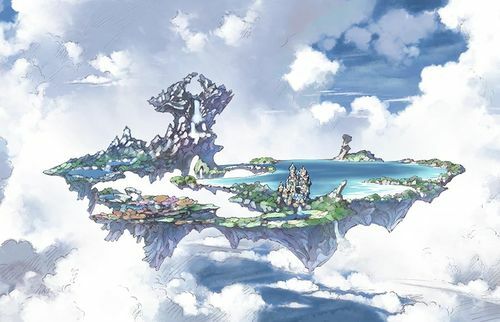 Auguste Isles is the location for chapters 9-12 of the main quest. A special economic zone known for its vast resources of water. Formally known as the August Isles Special Economic Cooperative Territory, it does not fall under the jurisdiction of any of its neighboring governments. Auguste boasts a huge body of water the likes of which cannot be found anywhere else. Thanks to that, it's a highly popular sightseeing destination. There are a plethora of shops on the isles, crowded so close together that it's hard to tell where one ends and the other begins. The tax revenue from these shops makes the Isles abundantly wealthy. They are even able to employ a self-defense force that is on par with a regular military. Mizarea, the capital of the Auguste Isles, is nicknamed Aqua City on account of being surrounded by ocean. Its residents mostly use boats to move around. One of the most famous tourist sites in the aquatic city of Mizarea or elsewhere. It is said that your wish will come true if you cross the bridge as the sun sets. The Auguste Isles are the economic powerhouse of the Phantagrande Skydom. Shops fill every corner of their cities. There is no regular military in Auguste; instead the isles rely on hired agents as necessary. In most places airships are the main means of transportation, so it's generally better for shops to be situated higher. However in Auguste, people prefer boats over airships, so the shops that are positioned lower are considered higher-class. A beach of white sand overlooking the ocean. There are a few small islands between here and the boundaries of the Blue Beyond. Triggers Sideway Solace because (?). Location: Chapter 9: Auguste Isles - Baruha Beach Start QuestNetwork Errors will appear if the hosting conditions are not met. A sandy beach on the edge of Tzannis Plateau. Those on foot can enjoy a wide variety of landscapes here. A plateau that offers a sweeping view of the archipelago. Thin streams wind their way across the land until they spill into the ocean. A huge waterfall that flows from a distant source. Its shape is comparable to that of a gigantic water dragon. (1 turn) on all allies. (3 turns) on all allies. When used as a trigger, dispels Leviathan Omega's buffs. Multi-hit, massive Water damage~17000 per hit against Earth to random allies. Only Leviathan Omega must be killed to complete the battle. Dispelling the veil from Create Water Barrier causes a special Azure Blade that dispels the rest of the buffs. Resonance will give Leviathan a buff that will make his next attack Perilous Tidefall. Create Water Barrier is used if Leviathan lacks any of its buffs. Rejuvenate is used if the Halo is debuffed with top priority. This will clear its diamonds. First clear: Lvl Cap +1 for Leviathan Gaze Omega, Leviathan Spear Omega, Leviathan Scepter Omega and Leviathan Bow Omega. Before your first attack, land as many debuffs as possible on Leviathan Omega. Create Water Barrier will not clear debuffs, giving you three minutes to beat on the Halo. A lot of this fight's actions are state-based triggers. This includes Tidefall, which is now a TPK move, so tread carefully during the Halo's overdrive. and get as much damage in as possible. Once the Halo is dead, Leviathan itself can be Dispelled of its buffs and is fairly straightforward. 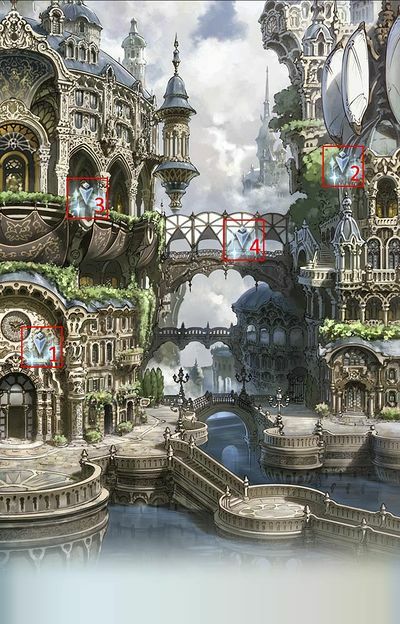 By clicking on the sparkles in the following order, Lyria will find 50 Crystals. This page was last modified on 15 May 2018, at 18:06.